Professor Giovan Giacomo Giordano was a distinguished anatomical pathologist who devoted over sixty years of his life to the fields of cancer research and university teaching. He was a Professor of Anatomical Pathology at the University of Naples and Chairman of the Department of Pathology of "Pascale" National Cancer Institute of Naples. 2013 -- The fourth annual award was given to Dr. Cataldo Doria is Director of the Division of Transplantation and of the Cancer Center at Jefferson Medical College in Philadelphia. 2012 -- The third annual award was given to the oncologist Dr Massimo Cristofanilli for his groundbreaking contributions to cancer research. 2011 -- The second annual award was given to Dr. George Katter, a cardiologist who has dedicated a large part of his career to serving the sick and the poor in the Laurel Highlands region of Western Pennsylvania and in the country of Haiti. 2010 -- The first annual award was given to Dr. Ignazio Marino, an Italian surgeon who specializes in liver transplantation. He is a member of the Italian Senate, first elected in 2006. In 1999, Dr. Marino founded the first liver transplant center in Sicily in a partnership between the University of Pittsburgh Medical Center and the Italian government. The Giovan Giacomo Giordano Foundation was established in memory of Professor Giovan Giacomo Giordano (bio), a beloved and distinguished anatomical pathologist who d evoted over sixty years of his life to the fields of cancer research and university teaching. Each year, at the annual National Italian American Foundation Gala Weekend in Washington DC, the Sbarro Health Research Organization and the National Italian American Foundation jointly sponsor an award in honor of Prof. Giovan Giacomo Giordano. The award commemorates a man who was always curious about big questions of life and death and who strove to recognize scientists capable of formulating important questions in their search for serious and important solutions to difficult biological and ethical issues. The award honors Dr. Giovan Giacomo Giordano, who looked to scientists (in the words of Claude Levi-Strauss) not to provide real answers but to ask the real questions. Each year, this award will honor an individual researcher or clinician whose work: 1)Challenges accepted scientific assumptions in a way that reveals new and fertile pathways for the future, 2) Works in a way that tests new ideas -- sometimes ones that were previously discarded -- to support a new paradigm. 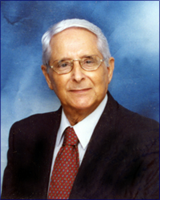 Dr. Giordano believed in supporting and encouraging the highest ethical standards in the medical system in his native Naples, Italy. The prize also honors Dr. Giordano’s belief that the primary commitment of medicine is to the welfare of the patient and recognizes individuals who have demonstrated exemplary leadership, ethical commitment and dedication to the cause of advancing and promoting excellence in the field of medical ethics (in Italy or America). Giovan Giacomo Giordano was a distinguished pathologist who dedicated over 60 years of his life to cancer research and to teaching pathology at the University of Naples. An author and co-author of over 300 publications, he focused a large portion of his scientific research on investigating the interaction between chemical carcinogens and biological macromolecules; the relationship between sun exposure and skin cancers in man and animal models; the effects of chemical agents on embryonic development in biological models as a possible indicator of cancerogenesis, mutagenesis and teratogenesis; current topics such as the relationship between environmental pollution and cancer; host-tumor interactions with regard to tumor invasiveness, angiogenesis and metastasis; clinical-experimental approaches; immunohistochemistry in research and cancer diagnosis and, finally, biology and molecular genetics. Many remember Professor Giordano's important work as a physician, but they also remember the man who spent his life constantly promoting ethics in the medical system, putting his passion, solidarity and empathy for the patient before politics and power. In 1984, Professor Giordano met workers for the Santa Maria La Bruna railway system, and offered his scientific expertise by demonstrating that exposure to asbestos, even at minimal levels, causes diseases of the respiratory tract (asbestosis, lung cancer) and serous membranes (mesotheliomas). His contribution was very important in recognizing that there is no minimal level of asbestos in the air that is not dangerous, as the inhalation of even a single fiber can cause mesothelioma. The use of asbestos has been illegal in Italy since 1992. Professor Giordano is remembered for being ahead of his time, publishing the white book "Health and Environment in Campania", in which he closely addressed social issues like environmental pollution. Professor Giordano's study focused particularly on pollution of cities in the Campania region and on the damage that is caused by the chemical industry, not only to workers in that sector but to all citizens, every time environmental protection laws are violated. In 1987, Professor Giovan Giacomo Giordano, at that time the scientific director of the Pascale National Institute for the Study and Treatment of Tumors in Naples, was ahead of his time in disclosing the corruption that was taking place in connection with the hiring of stenographers at the institute. At the end of that investigation, the institute's vice president and two officials there were arrested for illegal behavior. Afterwards, he was let go from his position as scientific director, a victim of the conspiracy that had been designed by some of his colleagues and several political figures at the time. Nevertheless, throughout that entire episode, he never ceased to uphold his ethical commitment. Indeed, that dramatic event never distracted Professor Giovan Giacomo Giordano from his scientific and research commitments, but rather made him a positive example to so many young people, professionals and colleagues and to scientific organizations that were also committed to upholding strong ethical values. As a member of the Collegium B. Ramazzini, and an expert for the Committee on Mutagenesis, Cancerogenesis and Teratogenesis and for the Ministry of Health, Professor Giovan Giacomo Giordano always showed his solidarity for those who were less fortunate. In 1976, he received the prestigious "Guido Dorso" National Award, which still today recognizes the work of scholars and researchers in the south of Italy who have "contributed through their commitment and activity to supporting the need for development and progress in southern Italy." In 2001, Professor Giovan Giacomo Giordano was named Emeritus Professor at Temple University in Philadelphia, PA (USA). From 2006 onward, he worked diligently to promote the mission of the Human Health Foundation Onlus, which he had named, actively participating in the decisions of the Scientific Committee, of which he was a member, and of the General Council. 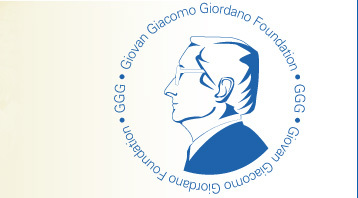 In 2010, the Giovan Giacomo Giordano Foundation was established. Each year, on the occasion of the annual gala held by the National Italian American Foundation (NIAF), the Giovan Giacomo Giordano Foundation sponsors the Giovan Giacomo Giordano NIAF Award for Creativity and Ethics in Scientific Research. The aim of this particular award is to recognize a scientist or clinician who has successfully met new challenges in promoting ethics in his/her career. In 2010, the award was given to Ignazio Marino, a pioneer surgeon specializing in liver transplantation and a member of the Italian Senate. In 2011, it was awarded to George Katter, a renowned cardiologist who has done critical work in assisting the poor in Pennsylvania and Haiti. In 2012, the internationally acclaimed clinical oncologist Massimo Cristofanilli was named the recipient of this award, for his groundbreaking contributions to cancer research. In 2013, Dr. Cataldo Doria is Director of the Division of Transplantation and of the Cancer Center at Jefferson Medical College in Philadelphia was named the recipient of this award. Professor Giovan Giacomo Giordano also received the honor of being named Knight of the Republic of Italy. Giovan Giacomo Giordano, era un esimio medico anatomo patologo che ha dedicato oltre sessant'anni della propria vita nel campo della ricerca oncologica e dell' insegnamento universitario dell'Anatomia e dell'Istologia Patologica presso l'Universita' degli Studi di Napoli. Autore e coautore di oltre trecento pubblicazioni, ha dedicato gran parte delle proprie ricerche scientifiche all'interazione tra cancerogeni chimici e macromolecole biologiche; alla relazione tra l'esposizione solare e i carcinomi cutanei nell'uomo e in modelli animali; agli effetti di agenti chimici nello sviluppo embrionale di modelli biologici quale possibile indicatore di cancerogenesi, mutagenesi e teratogenesi; a temi moderni come le relazioni tra inquinamento ambientale e cancro; l'interazione ospite-tumore con particolare riguardo all'invasivita', angiogenesi e metastasi; all'approccio clinico-sperimentale; all'immunistochimica nella ricerca e nella diagnostica oncologica ed, infine, alla biologia e alla genetica molecolare. Il ricordo piu' sentito e' per il medico ma anche per l'uomo che spese la propria vita, promuovendo costantemente l'etica nel sistema medico, anteponendo la passione, la solidarieta' e l'empatia verso il paziente a logiche politiche e di potere. Nel 1984, entrato in contatto con i lavoratori delle officine ferrovie di Santa Maria La Bruna, mise a disposizione le sue conoscenze scientifiche per dimostrare che l'esposizione alle fibre di amianto, anche a livelli minimi, era causa di malattie dell'apparato respiratorio (asbestosi, carcinoma polmonare) e delle membrane sierose (mesoteliomi). Il suo apporto é stato importante per riconoscere che non esiste una soglia di rischio al di sotto della quale la concentrazione di fibre di amianto nell'aria non sia pericolosa, poiché anche l'inalazione di una sola fibra puó causare il mesotelioma. L'impiego dell'amianto é fuori legge in Italia dal 1992. Il Professor Giordano é ricordato per aver anticipato i tempi, con la presentazione de "il Libro bianco" dal titolo "Salute e Ambiente in Campania", in cui si dedico' a questioni sociali come l'inquinamento ambientale. Lo studio del Prof. Giordano si concentro', in particolare, sull'inquinamento delle cittá della regione Campania e sul danno causatodall'industria chimica, non solo ai lavoratori di tale settore, ma a tutti i cittadini, ogni qual volta le regole poste a salvaguardia dell'ambiente vengano violate. Nel 1987 il Professor Giovan Giacomo Giordano, direttore scientifico dell'Istituto Nazionale per lo Studio e la Cura dei Tumori "Fondazione G. Pascale' di Napoli, anticipando i tempi della nota "tangentopoli" e della stagione "mani pulite" denuncio' irregolarita' nell'assunzione di stenodattilografe presso l'Istituto. Al termine dell'indagine furono arrestati il vice presidente e due componenti del CDA dell'Ente. Successivamente, perseverando nel proprio rigore etico, veniva rimosso dall'incarico, rimanendo vittima di una vera e propria "congiura" architettata da alcuni suoi colleghi e da alcuni politici dell'epoca. Tale drammatico evento, tuttavia, non distolse mai il prof. Giovan Giacomo Giordano dal proprio impegno scientifico e didattico, rendendolo, invece, esempio per molti giovani, professionisti e colleghi e per le organizzazioni scientifiche portatrici di elevati valori etici. Membro del "Collegium B. Ramazzini", esperto della Commissione di Mutagenesi, Cancerogenesi e Teratogenesi, del Ministero della Sanita` ed esperto della Commissione Nazionale di Tossicologia, del Ministero della Sanita', il professor Giovan Giacomo Giordano ha sempre espresso la sua solidarieta' nei confronti dei piu' deboli e, nel 1976, ottenne il Premio Nazionale "Guido Dorso". Il prestigioso riconoscimento ha avuto e, ha ancora oggi, tra le sue finalita' quella di segnalare alla pubblica opinione il lavoro di studiosi e ricercatori dell'area meridionale dell'Italia che "hanno contribuito con il loro impegno e la loro attivita' a sostenere le esigenze di sviluppo e di progresso del Mezzogiorno di Italia". Nel 2001 veniva nominato professore emerito della Temple University di Philadelphia (USA). Dal 2006 ha speso con grande entusiasmo le proprie energie per la Human Health Foundation Onlus di cui conió il nome, partecipando attivamente alle scelte del Comitato Scientifico, di cui faceva parte e del Consiglio di Generale. Nel 2010 e' stata istituita la Fondazione Giovan Giacomo Giordano che, ogni anno, in occasione del Gala' della National American Foundation (NIAF) promuove un premio (il Giovan Giacomo Giordano Award) per la creativita' e l'etica nella ricerca scientifica. Lo scopo e' quello di premiare lo scienziato o il medico che con il suo lavoro ha accettato nuove sfide nel rispetto dell'etica. Nel 2010 il premio e' stato assegnato ad Ignazio Marino, chirurgo specializzato nei trapianti del fegato e membro del Senato della repubblica italiana. Nel 2011 il premio e' stato assegnato a George Katter, un cardiologo che ha svolto l'attivita' di medica, aiutando i poveri in Pennsylvania e ad Haiti. © Copyright 2003 - 2008, Sbarro Health Research Organization,All rights reserved.